The midterm election is over but before Democrats can assert their authority as a legislative check against President Donald Trump and congressional Republicans, lame-duck lawmakers must strike a bipartisan funding deal to avert a partial government shutdown early next month. Congress has already succeeded with the low-hanging fruit -- sending Trump bipartisan legislation to fund five of 12 areas of appropriations. But there are still seven bills that have not advanced all the way through Congress and require consideration by Dec. 7, when current funding expires. One critical bill that lawmakers continue to grapple with is funding for the Department of Homeland Security, which includes jurisdiction over border security. Trump has repeated his demands for $5 billion toward building a wall at the southern border, threatening to shut down the government if Congress sends him a continuing resolution that does not include funding for border security. "[A shutdown] could happen over border security. 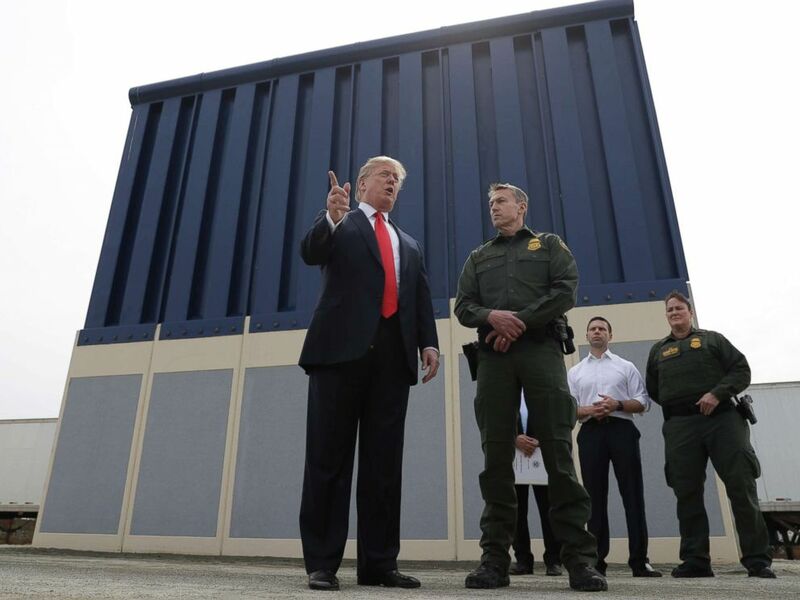 The wall is just a part of border security -- a very important part -- probably the most important part," Trump told reporters last Thursday. "But could there be a shutdown? There certainly could, and it will be about border security, of which the wall is a part. With little GOP appetite to shut down the government or send the president a bill he would veto, House Speaker Paul Ryan and Senate Majority Leader Mitch McConnell know a successful deal must include Democratic support -- the bill requires 60 votes to clear the Senate. That realization could lead Republican leaders and the president to come together with Senate Minority Leader Chuck Schumer and House Minority Leader Nancy Pelosi to find the legislative sweet spot. So where will the votes materialize to avert a partial government shutdown? The constitutional power of the purse rests with the House, so Ryan -- less than 50 days from retirement -- must first team up with Pelosi to amass an oversized coalition of Republicans and Democrats to strike an agreement by the end of next week. 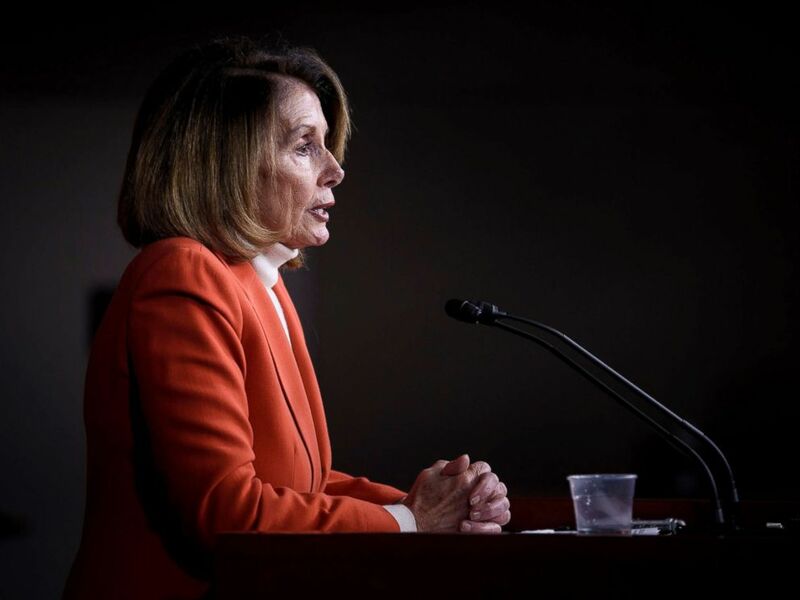 Pelosi, who is battling her own caucus over her ambition to seize the Speaker's gavel once again, risks upsetting some colleagues who prefer to hold out until the Democratic cavalry arrives and their caucus's leverage increases in the 116th Congress behind a 16-seat majority. Senate Democrats have the most leverage in these negotiations since Republicans need at least nine votes to reach the Senate threshold for passage. That necessity should keep GOP leaders from allowing any poison pills to be included in the legislation -- which could also drive the House towards a more moderate bill. While appropriators are aiming for a bill that funds the remaining areas of government through the end of the 2019 fiscal year, if a long-term deal proves elusive, lawmakers could opt to fund the government for a short period of time -- punting the disagreements to divided government next year. "We have the will to put the money at the border for better security and combine it with some sensible reforms, including things like a path to citizenship, things like making sure that we have workers on our fields and in our factories that we need, but he has chosen instead to weaponize this, to politicize it," Sen. Amy Klobuchar, D-Minn., told ABC News' George Stephanopoulos on Sunday. "We're willing to talk about this, but if he wants to just keep playing politics with it, instead of getting it done, we aren't going to be able to get it done. House Minority Leader Nancy Pelosi speaks to reporters during a briefing on Capitol Hill, Nov. 15, 2018, in Washington, DC. But absent comprehensive immigration reform, many emboldened Democrats have signaled they are unlikely to support stand-alone border security funding or a deal that delivers the president one of central campaign promises from 2016. "Congress will no longer sit idly by as President Trump incites fear and division in an attempt to close the border and extort funding for his completely unnecessary wall," said Rep. Bennie Thompson, the top-ranked Democrat on the Committee on Homeland Security who is expected to become chairman in the next Congress. "The Administration should be preparing itself to finally face real oversight of its failed border and immigration policies." Government funding expires at the end of the day on Dec. 7.